Earlier this morning I saw a few stories roll in with the weirdest headline possible. 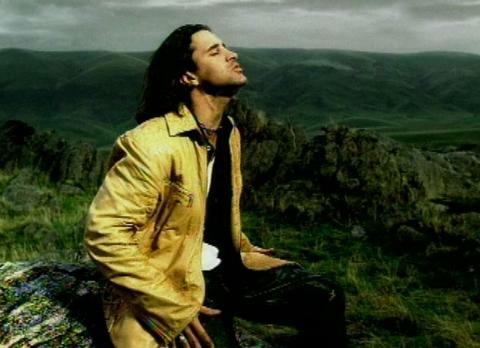 Scott Stapp, the lead singer of Creed, has not been a relevant force in music for years now. Seeing his name appear as one of the main topics of the day does not bode well for him. The only way he’d make a dent on the world, let alone the trending topics on Facebook, would be through bad news. Unfortunately, this was confirmed when Stapp revealed this morning that he is “penniless” and living a life nowhere close to the height of his fame. There are many reasons – too many to list here, but all fall in the “mishandled funds on a grand scale” category – for why this happened. The reasons are not of the ultimate importance here. What is paramount is the fact that the man who has entertained us all with songs like “Higher” and “With Arms Wide Open” is now broke. I saw Stapp and the reunited Creed in concert four years ago on my 16th birthday. I am not embarrassed to say that this concert was terrific and was throughly enjoyed by me that night and beyond. Creed, like Nickleback, is held in the lowest regard by the realm of popular music consciousness, but I’ll fight anyone why doesn’t get a little emotional/pumped up during “My Sacrifice.” Yes Stapp has his goofier moments, but having him around has made our lives better in one way or another. We can’t sit idly by and watch this man struggle after the joy (and joy of hatred for some) that he has gifted the world. That is why we all need to reach out to Stapp and help. I guess you say we should approach him with arms wide open. Yes, I just did that. Yes, I hate me also.